"The bicycle has attained an economic position of vast importance. The roof garden ought to attain such a position, and it doubtless will soon--as we give it the opportunity it desires. The Arab or the Moor probably invented the roof garden in some long-gone centuries, and they are at this day inveterate roof gardeners. The American, surprisingly belated--for him, has but recently seized upon the idea, and its development here has been only partial. The possibilities of the roof garden are still unknown. Down in the slums necessity forces a solution of problems. It drives the people to the roofs. An evening upon a tenement roof with the great golden march of the stars across the sky, and Johnnie gone for a pail of beer, is not so bad if you have never seen the mountains nor heard, to your heart, the slow, sad song of the pines." The elegiac closing paragraphs from Stephen Crane's Roof Gardens and Gardeners of New York, a newspaper piece published 9 August, 1896. 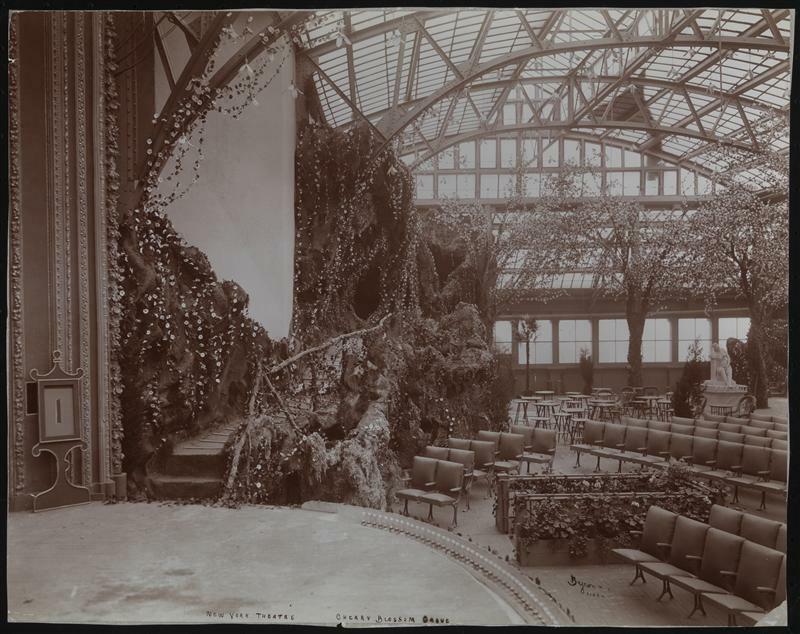 In it Crane references the rooftop garden of the Olympia Theatre, recently opened by Oscar Hammerstein, which featured "a bit of Swiss scenery on the left and an Italian grotto on the right', plus a lake and cascade, growing plants, swans and monkeys. Outré? Perhaps. But I was at the Met rooftop garden this past fall to see the Saracena sculpture and it strikes me that this is our version of the monkeys. I am more touched by the reference to 'Johnnie's' tenement-roof garden...of a type that was described by Jacob Riis in 1890 (but amongst his photos exposing slum conditions I could find none of the roof gardens). Roof gardens are once again stylish in New York, now in quite a different social and economic setting. So if you're a New York rooftop gardener, perhaps plant some Golden Glow in Johnnie's memory. "..to the blackest cloud there is somewhere a silver lining if you look long enough and hard enough for it, and ours has been that roof garden. It is not a very great affair--some of you readers would smile at it, I suppose. There are no palm trees and no "pergola," just a plain roof down in a kind of well with tall tenements all about. Two big barrels close to the wall tell their own story of how the world is growing up toward the light. For they once held whisky and trouble and deviltry; now they are filled with fresh, sweet earth, and beautiful Japanese ivy grows out of them and clings lovingly to the wall of our house, spreading its soft, green tendrils farther and farther each season, undismayed by the winter's cold. And then boxes and boxes on a brick parapet, with hardy Golden Glow, scarlet geraniums, California privet, and even a venturesome Crimson Rambler." Read the entire essay by Stephen Crane as part of his "New York Sketches" at project Gutenberg. Read the entire essay by Jacob Riis as part of "How the Other Half Lives" here. There is a book just about the roof gardens of Broadway theaters by Stephen Burge Johnson. Hello Arcady, this is my first visit to your fascinating blog! I found a link on Ben Pentreath's Inspiration blog, I'm glad I came. This post makes me think of the trend now for "green roofs" and "vertical gardens," both of which I think are exciting ideas to make our cities more liveable. And eventually our homes? I am looking foward to exploring your blog more. Thanks! Love your perspective on garden history. Unique and well done!